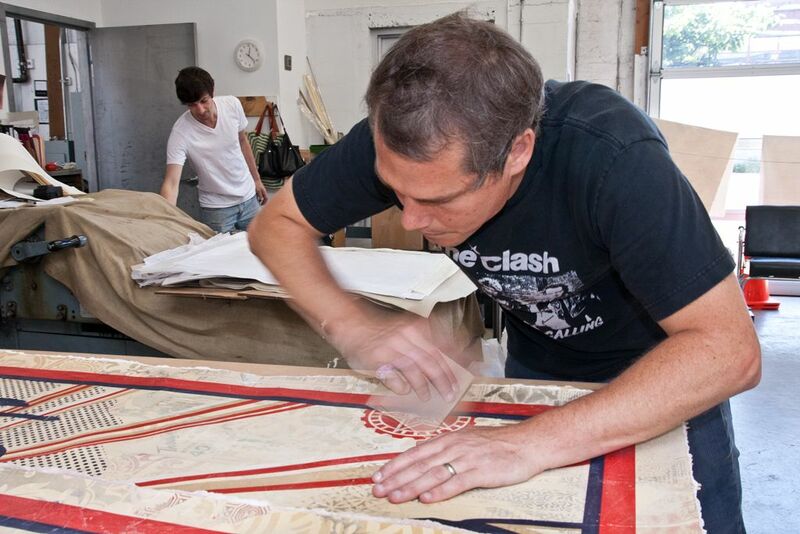 Last week, we shared a video of Shepard Fairey (featured) as he prepared for his upcoming solo at Pace Prints (26th street location) opening on May 5th. 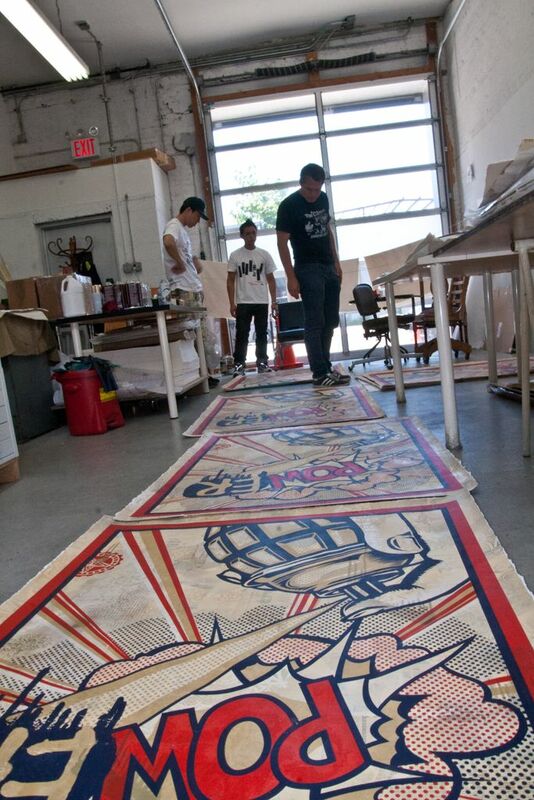 What you may not have known was that this exhibition, Harmony & Discord, has been over a year in the making. 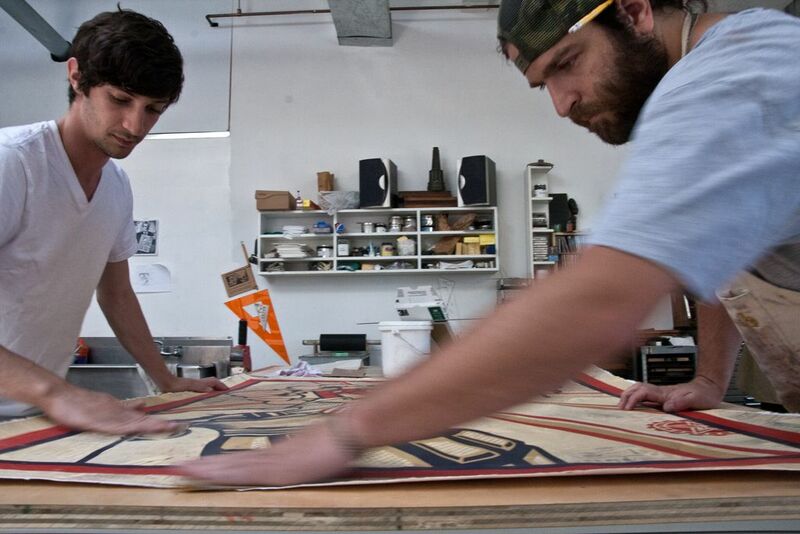 Last year, Shepard spent over a month living in New York City during a residency at the renowned Brooklyn studio location of Pace (with many more trips between LA & NYC since then), joining an exclusive & esteemed group of blue-chip alumnus who have graced the iconic gallery such as Yue Minjun, Ed Ruscha, Yoshitomo Nara, Sol Lewitt, George Condo, and Chuck Close, just to name a few. 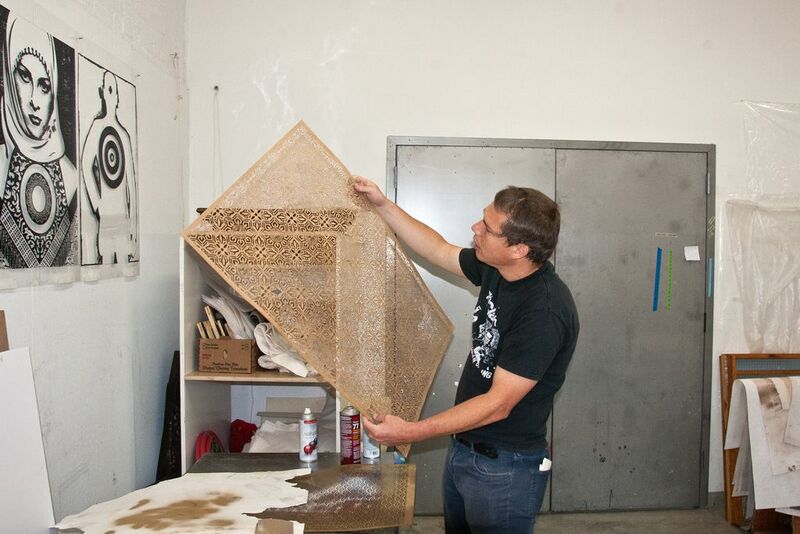 Shepard invited AM in to spend a day at this impressive studio as he and his 1st assistant Nicolas Bowers literally worked on hands & knees to craft this intricate collection of works. 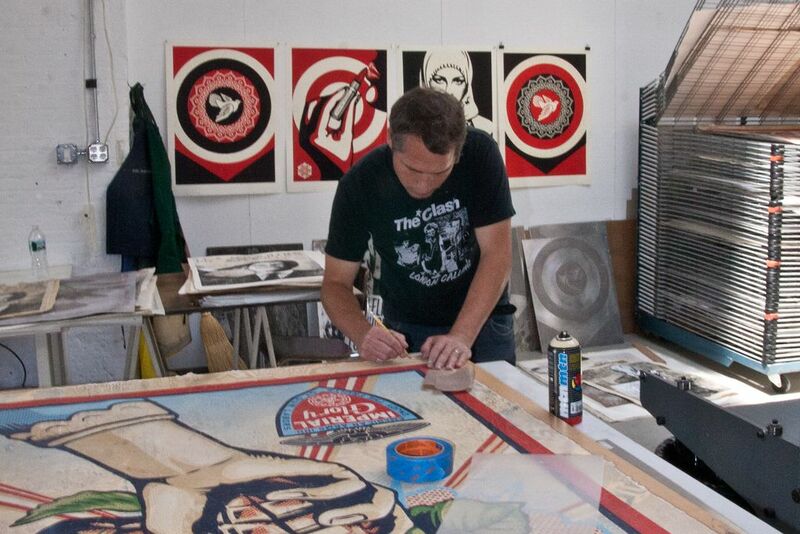 From hand-made Egyptian cotton rag to intricately chiseled metal embossment plates, Mr. Fairey took nothing for granted as he experimented and pushed his already superb printmaking abilities to another level that will be sure to wow even the most diehard OBEY fan. 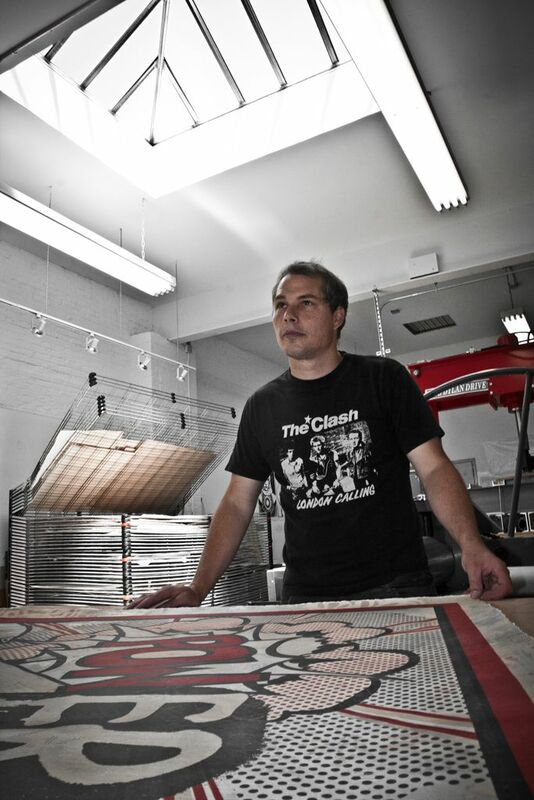 Enjoy an exclusive look into this studio with more photos from our Joe Russo. Discuss this show here. 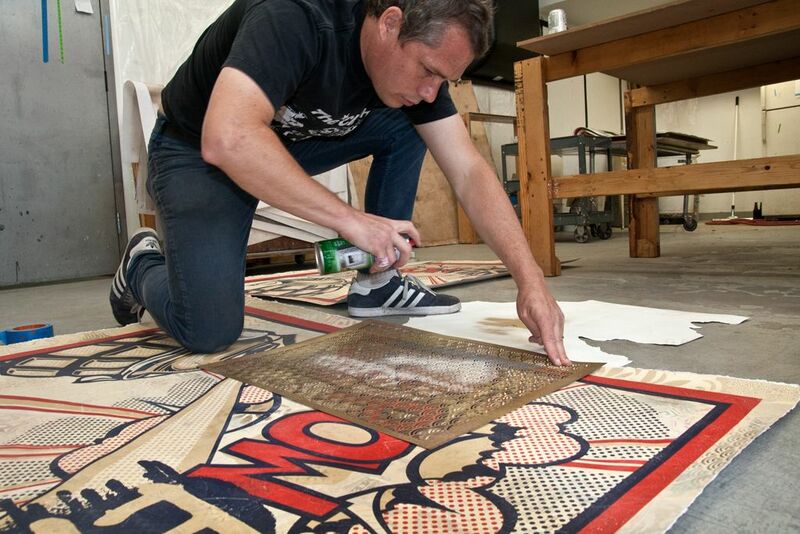 Discuss Shepard Fairey here. 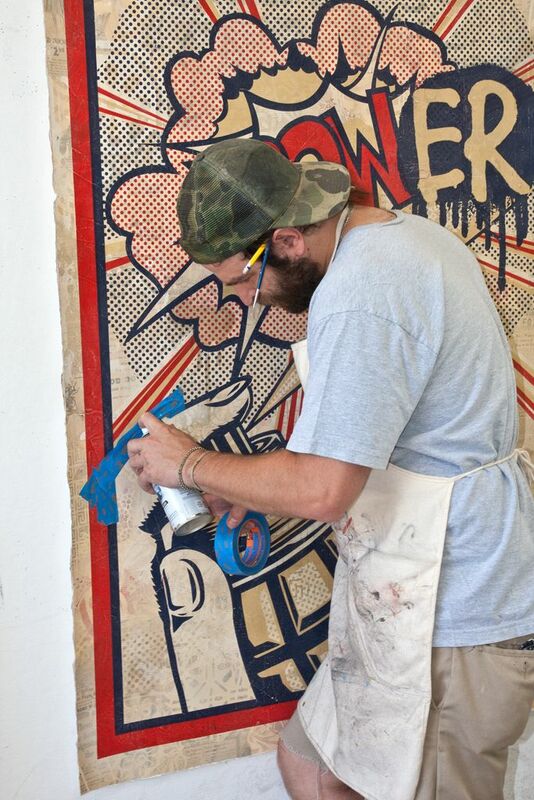 Categories: Contemporary Art, Features, Street & Urban Art, Studio Visits. 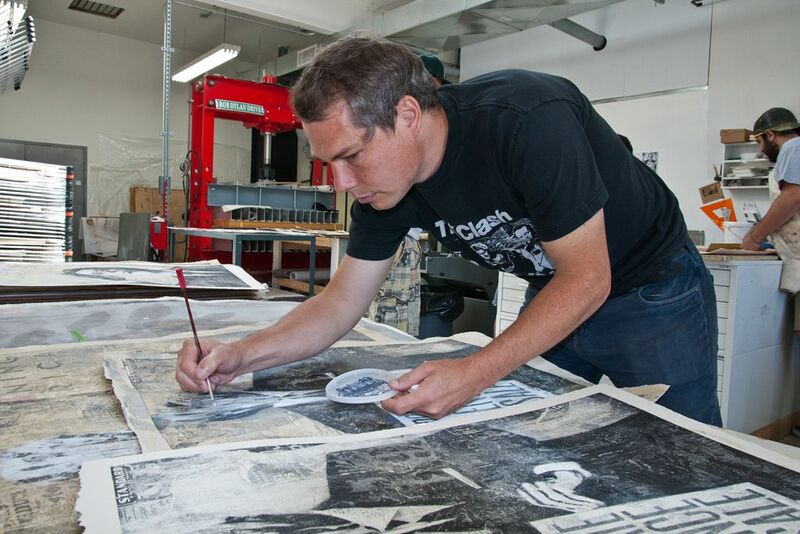 Tags: Contemporary Art, Features, New York, Pace Gallery, Shep - Pace '12, Shepard Fairey, Street & Urban Art, Studio Visits.